First of all, sorry to everyone who experienced a glitch with their work on this site. We were without phone and internet for a week. So much for modern technology. Anyway, we are back up and lucky to have an interview with author Alexandra Christian! 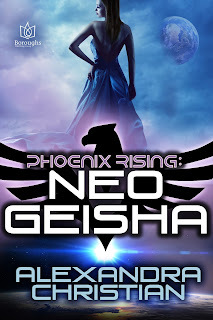 AC: The main character of the Phoenix Rising series is Cage St. John. He’s a former agent with MI:6 who had a bit of an accident involving DNA splicing which has given him shapeshifting ability. At the beginning of Naked (Book 1), he’s a spy for hire. Cage can shift into almost any sort of creature you can imagine from a cat to a dragon. The only problem is, with these supernatural strengths, also come the weaknesses. For example, he can become a vampire with incredible speed and strength, but he also has the bloodlust and weakness during the day. He can become a wolf, but there’s an animalistic rage that comes with it. The process of shifting is also quite painful, so it isn’t all it’s cracked up to be. Cage has been solitary for a long time, so he isn’t what one might call friendly. SC: Speaking of supernatural strenths, do you believe in the paranormal and if so, do you have an experience you can share? AC: This is a very interesting question. My husband Tally is also a writer and he writes books of true ghost stories. We have gone to numerous haunted sites researching his books. My favorite incident was several years ago in Manteo, NC. ICYMI, the town of Manteo sits on the site of the original Roanoke colony. Yes, the one where all the settlers disappeared with no sign except for CROATAN being carved on a tree. Anyway, we had a friend who had been working on The Lost Colony outdoor drama over the summer. She invited us out to the park because she’d seen some strange stuff and wanted to get Tally’s opinion. Our first mistake was going out on the path in the dark. First, the temperature dropped dramatically and the wind began to blow. My husband takes off through the woods thinking he’s seen something watching us through the trees. I kept walking, becoming more nauseated with every step. Finally, I got so dizzy and sick that I had to turn back. It is probably the most frightened I’ve ever been at a haunted place. SC: Yes, when you start to feel ill, it's a good time to just walk away. Thanks for sharing your story. And speaking of stories… what titles are you working on now that you can tell us about? AC :My brain is split in three pieces right now! 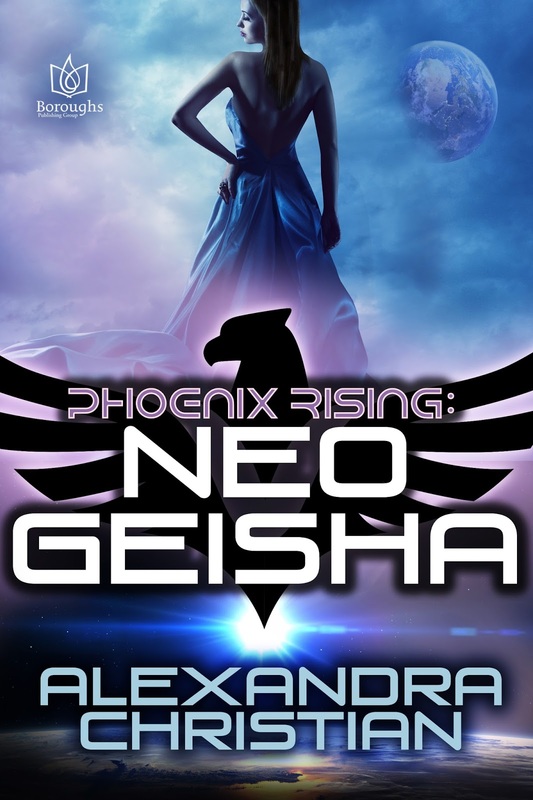 I’m working on book three in the Phoenix Rising series. It’s tentatively called In Absinthia and takes place on a space colony that’s basically a Victorian Era theme park. Very Agatha Christie murder mystery. I’m also working on a novella series about Dr. John Watson (yes, sidekick of Sherlock Holmes) and his adventures in monster hunting. The first of that series should be out soon under my other pseudonym, A.C. Thompson. And finally, I’m working on a fluffy contemporary romance about a retired rock star and a kindergarten teacher who fall in love and save an elementary school. They’re all wildly different stories, so hopefully I won’t get confused. SC: Thanks so muc h for popping in for a chat. Let's take a look at your book now. Reluctant to become a spy again, Macijah "Cage" St. John's instincts prove correct when all hell breaks loose for him and his lady love, Phoebe Addison, who is also his new partner. 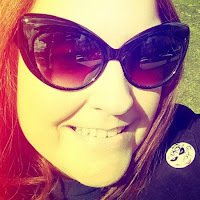 Alexandra Christian is an author of mostly romance with a speculative slant. Her love of Stephen King and sweet tea has flavored her fiction with a Southern Gothic sensibility that reeks of Spanish moss and deep fried eccentricity. Lexx likes to keep her fingers in lots of different pies having written everything from sci-fi and horror to Sherlock Holmes adventures. A self-proclaimed “Southern Belle from Hell,” Lexx is a native South Carolinian who lives with an epileptic wiener dog and her husband, author Tally Johnson. Her long-term aspirations are to one day be a best-selling authoress and part-time pinup girl. She’s a member of Romance Writers of America.